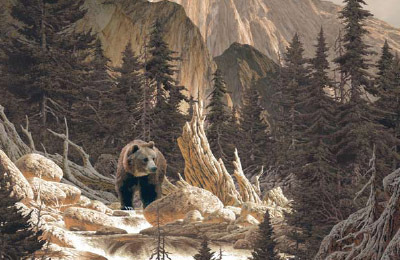 Jorgensen points out that more than $24 million dollars have gone toward grizzly recovery efforts in the greater Yellowstone area, but now park officials are spending ridiculous amounts to find and kill one bear. Unfortunately, it is not surprising that political responses to public fears trump spending millions in the name of science. As YNP Superintendent Dan Wenk admitted, “We’ll never know which bears caused the fatality.” And yet, the search, and high price of pursuit continues, if only to appease public pressures. Guest opinion in the Great Falls Tribune 10/6/11. States ” a good national park is a place where the ecosystem is allowed to follow its natural course without human interference”. And yet, we spent $24 million dollars on recovering the endangered grizzly bear. My question, what part of natural course don’t you understand, spending $24 million dollars is human interference isn’t it?